The Bible teaches that the wrath of God will be poured out one day, everyone will stand before the judgment seat of Christ, and not all will be saved. In fact, the Scripture makes clear that we are all sinners and Hell is our destination if something drastic does not happen. The Gospel of Jesus Christ declares that something drastic has happened. God left His glorious throne in heaven to put on flesh and blood here on earth in order to absorb the penalty for human sin in His own body as our substitute. He was raised from the dead and before returning to His rightful place in glory, He commanded all of His followers to go make disciples of all the nations. We do so by proclaiming the Good News that the sin-problem has been remedied by the King and Creator of the universe. The way one accepts this payment for their sin debt is to repent of their sin, put their full trust in Christ, and be united with Him in baptism. Repentance involves turning from sin and to God. We must leave our sinful lifestyles behind. Trust is putting one’s faith in Jesus Christ, that is, trusting that what He has done is enough to save you from yourself, this wicked age, the wrath to come, and more. Baptism unites one with Christ, not because there is anything special about water or a pool, but because Christ has promised to meet us there in the water to do a new work within us. He wants us to emblematically be united with Him in the likeness of His death and resurrection, being buried in the water and raised out again to a new life just as He literally and spiritually does the work within us. Thus, one must hear, believe, and receive the Gospel of Jesus Christ. As stated at the beginning of this article, not all will be saved because not all will accept the free gift that is offered in Christ, and it is the only way to be saved. A man or woman cannot fix, remedy, or save him/herself. Self-help books and gurus will not ultimately get you where you need to go. Religious performance of any kind will not secure for you a positive place in eternity. Good deeds will never amount to enough to justify one as righteous. The only way to be justified on the last day is to take the righteousness of Christ as your own by accepting His death as the payment for your sins. This is done by faith. Sadly, the New Testament teaches that the majority of folks past, present, and future will not accept God’s free gift of salvation. People love darkness rather than light (John 3:19). They would rather continue is their sin, trying to climb their way out of the insuperable pits that they have dug themselves into. The truth is the majority of the human race will perish because they have chosen to not acknowledge God nor be thankful for the many benefits He has offered. Yet, there is a remnant. There are a select few who will turn to God in repentance, faith, worship, and service. There are some who will choose life and thank God for His many showers of blessings. The Lord has taught that the gate is wide and the road is narrow that leads to destruction and the majority of people will follow and enter that way, but He also says that there are a few who will enter the narrow gate that leads to life. Well, we are all about progress on this website, aren’t we? Have you ever wondered about the future of evangelism? 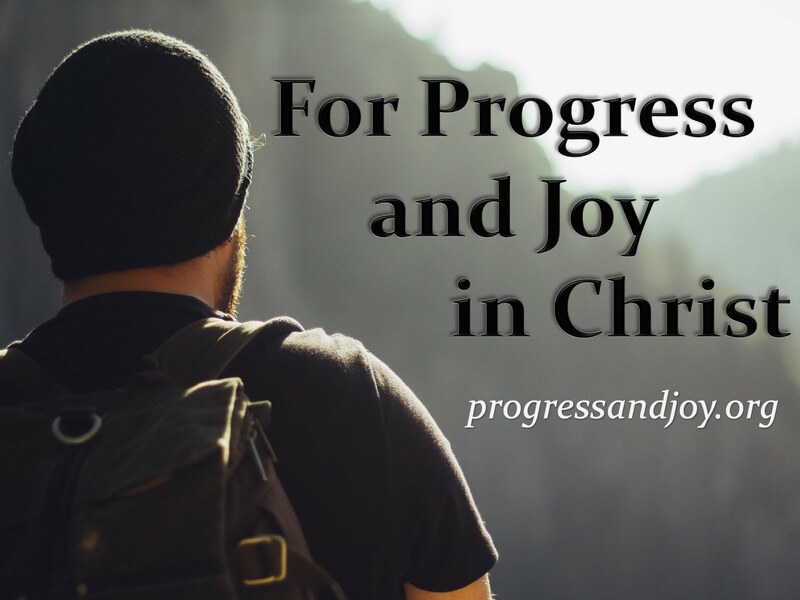 What kind of progress are we going to make for the Gospel in the years ahead? Really, it sounds like what we have discussed above offers us little to no hope for future disciple making. Will we see converts? Will folks continue to accept Christ? The outcome seems bleak, doesn’t it? The following list and discussion offers seven guarantees for continued Gospel progress even in the 21st Century. The Christian can take these scriptural references and go forth to evangelize their neighborhoods, cities, and nations with confidence. #1 Jesus stated unequivocally that the harvest truly is plentiful (Matthew 9:37-38). What He meant by this is that there are plenty enough folks ready to accept the Gospel if only believers will go take the message to them. In keeping with the analogy, there is enough work to be done in the harvest fields that the workers will certainly stay busy. So, our first assurance for Gospel progress comes from the lips of our Lord when He said that there are enough folks ready to believe if only there is someone to share the Gospel with them. #2 Christ promised that there would be other sheep brought into His fold (John 10:16). Just like the statement before, here is another promise that there are others who will need to be brought in to the faith. Both of these analogies are beautiful pictures of people coming to salvation. In agricultural societies there is no better time of the year that the harvest, especially when the harvest is plentiful. And even in our industrial society, we can appreciate the image of Christ as shepherd and us as His sheep. A good shepherd cares, heals, feeds, protects, guides, and all the like for his sheep. The Lord says that there are other sheep who are currently not of His fold, but that they must be brought in and they will hear His voice. #3 When we evangelize, we go in Christ’s authority (Matthew 28:18) and His presence is with us (Matthew 18:20). We can be bold in sharing our faith because we are ambassadors of the living God. We are heralds of the Lord of lords. We have been commissioned by the One who has died, been raised again, and reigns on high. All authority has been given to Him in heaven and on earth, and we go forward to promote His Kingship in that authority. Not only do we go in His authority, but also in His presence. He has promised to never leave us nor forsake us. There is nowhere we can go where He will not be with us. What a comfort this promise brings! As Jesus taught in the Upper Room, which is recorded in the Gospel of John, He said that He would send another Helper who will abide with us forever, that is, the Holy Spirit. He also said that although He was leaving, He would be seen again by His disciples. He promised that both the Father and Himself would come and make a home within the believer. We can be assured that Christ is present with us by the person of the Holy Spirit during every day, even and especially when we make His glory known by sharing the Gospel. #4 The Lord would not command us to do something that cannot be accomplished (Matthew 28:19). He gives us everything we need to complete the task that He has called us to do. The One who has all authority in heaven and on earth is able to give us the resources and opportunities to carry out His mission in the world. The King of kings is able to make His kingdom spread as far as He desires. We can proceed confidently in evangelism knowing that He will supply our every need. #5 The Holy Spirit comes alongside us. He testifies and we testify of Christ (John 15:26-27). As mentioned before, the Holy Spirit of promise has come into our hearts in order to do a marvelous work within us. In John 14-16, Jesus calls the Spirit a “Paraclete” which is a transliteration of the Greek word meaning, “One who comes alongside to help” and do all sorts of things. He has come alongside us (and is, in fact, in us) to support us in everything we do. Not only does the Spirit want to support us, but He is actively guiding us and taking the lead when we deny ourselves and follow Him. One of the things that the Spirit executes and wills to do it alongside us as we do it as well is the task of bearing witness to the things of Christ, maybe we can even say, evangelism. Knowing that when we testify to Christ the Spirit will testify as well is a huge boost of confidence in evangelism. #6 The Holy Spirit will convict the world of sin, righteousness, and judgment (John 16:7-11). This is a promise of something that happens outside of us. This is something that the Lord is doing before and during our evangelism. Is it not encouraging to know that the Holy Spirit has already cultivated the field before we even consider planting the seed? In keeping with this analogy of cultivating, planting, and growing for evangelism, we may reference (1 Corinthians 3:7) which says that God gives the increase. We should not think too highly of ourselves. God is the One who draws people unto Himself for salvation (John 6:44). He is the One who adds to the church (Acts 2:47). He does a work of prevenient grace and also brings the increase. We simply “plant the seed.” All glory is reserved for God alone. #7 The Gospel is power (Romans 1:16-17; 1 Corinthians 1:17-18) and so is the presence of the Holy Spirit as we testify to the truth of Christ (Acts 1:8; 4:33). We have dynamite in our hands when we approach someone with the living word of God. This dynamite destroys those things in us which bring about sin and death and incites those things that bring about faith and life. This is what people need in their lives. They need power. We are weak and vulnerable to the things of this world and the wiles of the devil, but the Gospel enables us to live. We can go forth confidently knowing that our message is powerful and so is the One who goes with us, the Holy Spirit. It is not the evangelist or the disciple-maker who will change hearts and save souls, it is the Gospel itself and the Spirit Himself who will do the work. What biblical guarantees for successful evangelism would you add to this list?